Was a French botanist, notable as the first to make a clear definition of the concept of genus for plants. 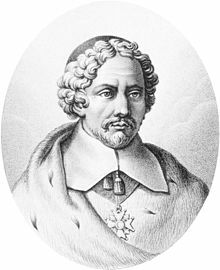 The botanist Charles Plumier had been his pupil and accompanied him on his voyages. Tome II, pp. 263-271: La Flambe (Iris); pp. 271-275: Le Xiphion (Iris); p. 275: Le sisyrinchium (Iris). Tome V, tab. 186: Iris. Flambe; tab. 187: Xiphion.